Delivering analytic capabilities once reserved for professional analysts, Quick BI allows you to perform data analytics, exploration, and reporting on mass data with drag-and-drop features and a rich variety of visuals. Quick BI enables users to perform data analytics, exploration, and reporting, and empowers enterprise users to view and explore data and make informed, data-driven decisions. 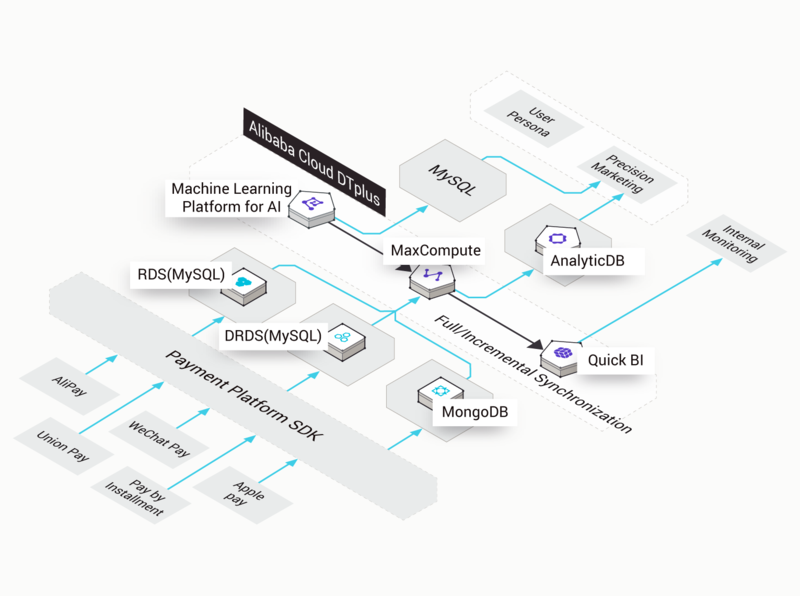 Supports multiple data sources, such as ApsaraDB for RDS, AnalyticDB, MaxCompute, MySQL, SQL Server, and local files. Provides drag-and-drop operations, powerful data modeling, and data visualization to help you build data portals quickly. You can embed the Quick BI dashboard into your own third-party systems and use it to view the reports and charts directly. 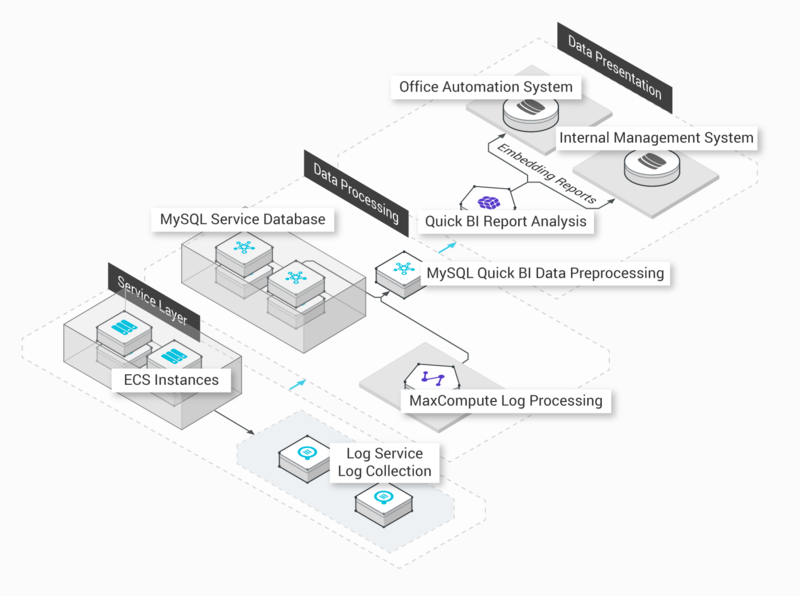 Connects to a wide range of data sources, including MaxCompute, RDS (for MySQL, PostgreSQL, and SQL Server), Analytic DB, HybridDB (for MySQL and PostgreSQL). Provides a standard interface for retrieving the metadata and data of data sources. Supports OLAP modeling of data sources, and converts data sources to multi-dimensional analytics models. Supports semantics such as dimensions (dates and locations), measures, star schema, and snowflake schema. Allows you to define calculated fields. The product allows you to edit the existing SQL script of the data source to customize your dimensions and measures. Enables users to build dashboards with visualization components. Supports 17 chart types, including line, pie, column, funnel, hierarchy, bubble geo, geo, and card. Also allows users to insert filter bars, TAB pages, iframe content, and text areas in the form of widgets as well as link multiple charts. Allows users to perform analytics in a spreadsheet environment. Supports row-based and column-based filters, basic and advanced filters, subtotals, auto-sum, and conditional formatting. Allows users to build portals from dashboards in a drag-and-drop manner. Supports embedded links (for dashboards), templates, and menu structures. In data-driven business operations, we often need to create analysis reports based on data such as the customer retention rate and the number of active users. Quick BI is easy to use and provides multiple data presentation techniques that support dynamic data analysis and effective decision-making. For better decision-making, business managers often need to ask technical staff to write SQL statements in order to extract data based on different conditions. The analysis system is difficult to develop and maintain, and generates reports with low efficiency. Reports that are created with tools such as HighChart have a poor visual design and require high manpower costs. All our managers need transaction data to measure the development of the business in different cities. It is vital that we find and locate any data exceptions as early as possible. Data access control is as important as data analysis. The same report is displayed differently for each user role. The Shanghai region manager can only view the data that is related to the Shanghai marketplace. Statistical indicators constantly change with the growth of a business. When the server cannot handle all the requests, the server response slows down. 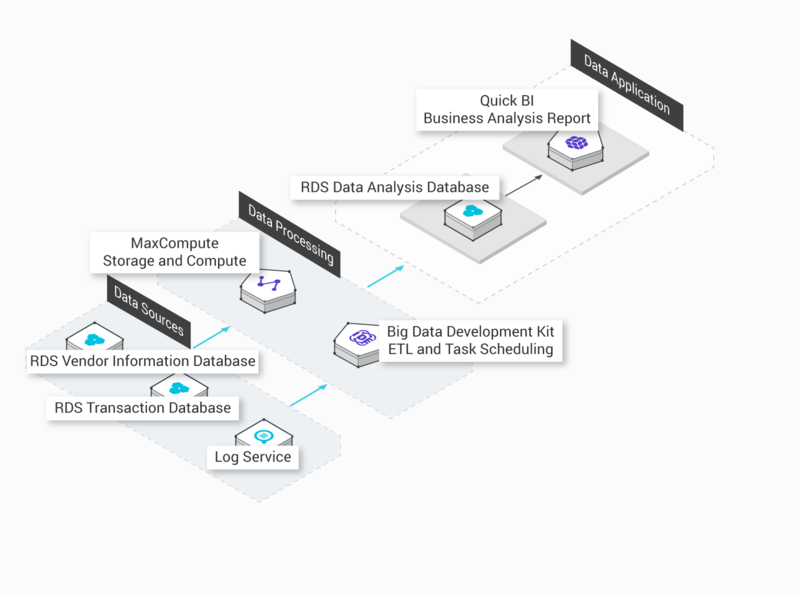 Quick BI supports data integration across multiple platforms and provides reliable computing performance for multi-dimensional analysis and data modeling. The client wants to build a simple BI platform that supports data visualization and analysis at the lowest possible cost and in the shortest possible time. The platform also needs to integrate with the client's management system in order to provide data support for different staff in different regions. The system is easy to use and user friendly, and meets the data needs of different staff. Supports integration with the internal system to perform data analysis, which significantly improves the efficiency of data visualization and analysis. Staff no longer need to switch between multiple systems. To better serve users, it is necessary to classify the users, identify user preferences, gather the operating conditions of the stores, and perform analysis on this data. The analysis results can be used to better predict user behavior. How to gain insight from user behavioral data to provide better services. 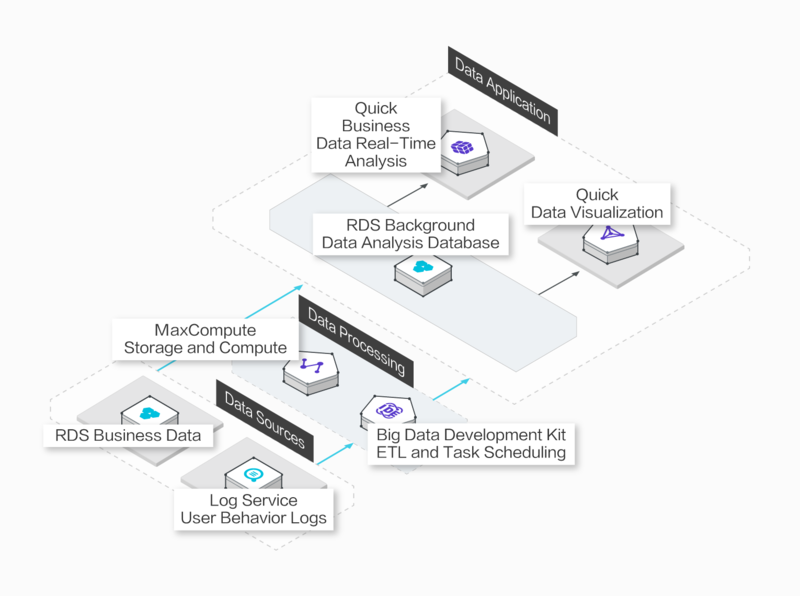 Traditional BI platforms and big data systems can be very expensive and slow to build. It has always been a challenge to perform effective data analysis and reporting for a chain business. As most chain business staff are dispersed all over the country, it is difficult to provide business analysis reports and features to the staff. Nailist focuses on the e-commerce business and currently has millions of users. As Nailist has accumulated large amounts of user data, how to make better use of this data to improve the user experience is an important focus of Nailist's data exploration efforts. Improve business insights through effective business monitoring and data analysis. Perform data-driven maketing towards millions of users and analyze user behavior in daily, weekly, monthly, and annual reports. Ping++ currently handles millions of transactions every day and has accumulated large amounts of transaction data. To improve the number of active users, Ping++ needs to perform effective data analysis and innovate. This requires a secure, reliable and stable big data platform. 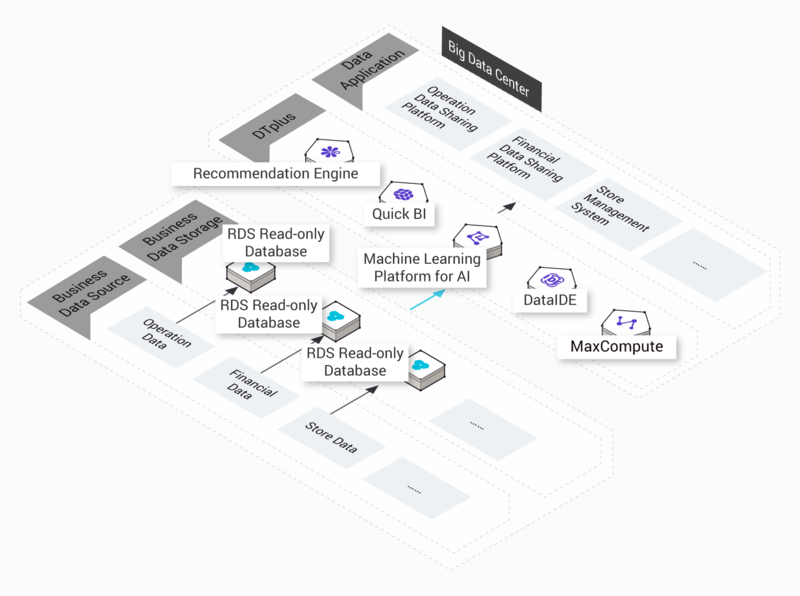 An end-to-end big data platform needs to support multiple features, such as storage, computing, business intelligence, and machine learning. As an Internet startup, the client needs to build the platform as quick as possible and at the lowest possible. To ensure that users can only access their own business data, a strong data protection mechanism is required.